Certified Pre-Owned (CPO) vehicles are becoming more popular thanks to the many added perks of owning one. If you’re looking for an affordable vehicle without taking a risk on a used car that you know nothing about, then a CPO model might be right for you. Plus, certified pre-owned cars come with added benefits you can’t find elsewhere. Below is more information about the benefits of buying CPO. One of the benefits to buying CPO is that cars must meet strict requirements. For instance, Honda CPO models must be less than six years old and have less than 80,000 miles. Any more and it can’t be certified. There is also a 182-point inspection to ensure that everything is like-new, and each car comes with a vehicle history report to provide important information. With this report, you can see if a vehicle was in a major accident, if it has frame damage, or if it was serviced regularly, among other things. Many drivers also invest in certified Honda models because they come with two added warranties. This includes the 12-Month/12,000-Mile Limited Warranty and the 7-Year/100,000-Mile Powertrain Warranty. You can have added peace of mind knowing you have extra coverage when you buy CPO. Plus, you also get a three-month free trial of SiriusXM on the house. Many pickup trucks can be gas-guzzlers, but not the Ridgeline. This pickup truck has a highway fuel economy rating of 26 mpg. This means that you can get pickup power without needing diesel or spending an exorbitant amount of money on gas. You can also opt for added coverage through Honda Care®. This includes emergency roadside assistance, such as towing, lock-out assistance, a battery jump start, tire change, and fuel delivery among other things. Extensive Component Coverage allows you to have added warranties on most major vehicle components, while the Concierge Emergency Services keep you connected and provide several membership bonuses. Want to learn more about Honda CPO models or see a vast selection of CPO vehicles? 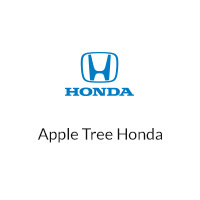 Then visit Apple Tree Honda today.